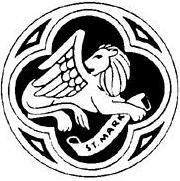 St. Mark's Family Choir is for ANYONE who is a part of St. Mark's and likes to sing. Everyone is welcome. In Christ There Is No East or West: This is a video of the choir singing in February 2011. Joyfully Now: This is an audio clip of the choir singing in August 2011. Many people at St. Mark's like to sing but don't have much time. These people come in all ages. They are families with kids, teens, older adults. The one thing they all share in common is that they have VERY busy schedules. This choir was started specifically with these folk in mind. Some are great singers, some aren't. Ability doesn't matter. All that matters is a desire to sing together in church. Time commitment? 20 minutes, max. We'll sing at communion about once every 2-3 months. We will practice for 5 minutes at the end of Agape the two Sundays prior to the Sunday we sing. That's only 20 minutes every other month! If you can't make rehearsals, that's fine too! Just let Gail Grant know that you'd like to participate, practice the round at home, and join us at the front of the church during communion on the dates listed below. Why rounds? We chose to make the focus of the family choir rounds because it is an easy way to get an interplay of harmony without everyone having to learn a different part. Once you learn the melody you can make beautiful music by simply starting to sing at a different point in the melody. Another reason we chose rounds is they are fun! How to learn the round: You can use this page to practice the songs we are going to sing at church or check out what we'll be singing. When you click on a link, it will take you to a page that has the lyrics, a picture of the music and one or more sound files you can use to practice. Most of the time, the simple melody will start playing and keep on playing until you stop it with the stop button or go to another page. The most important thing in learning a round is to sing it until you feel really confident that you know the melody. After you get comfortable with the melody, try starting at the entry point for the second or third part. Some kids, especially those under the age of seven, may have a hard time trying to do a round part alone. If your child can't sing the round part, simply have them sing with you. They can sing with you and enjoy all the OTHER people rounding.